From Raphael Collection. 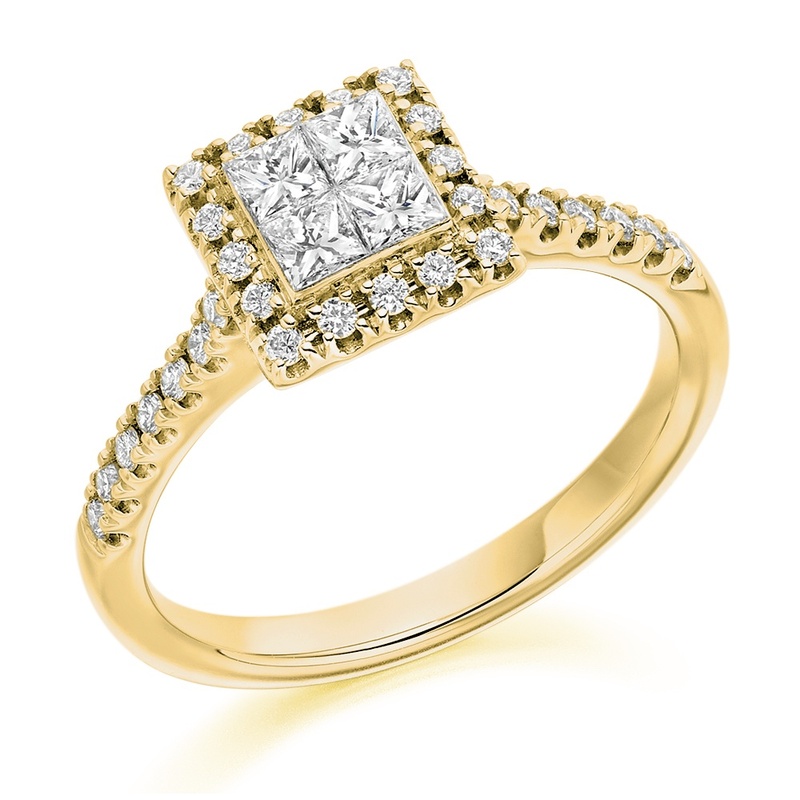 18ct yellow gold 0.35ct invisible princess cut diamond engagement ring. With 0.40ct round brilliant cut diamond claw set surround & shoulders. HGDL certified diamonds: D-F colour & VS clarity. Ring size M. Can easily be resized.